The following blog post has step by step instructions on how to mention @ other users in Gmail Message. 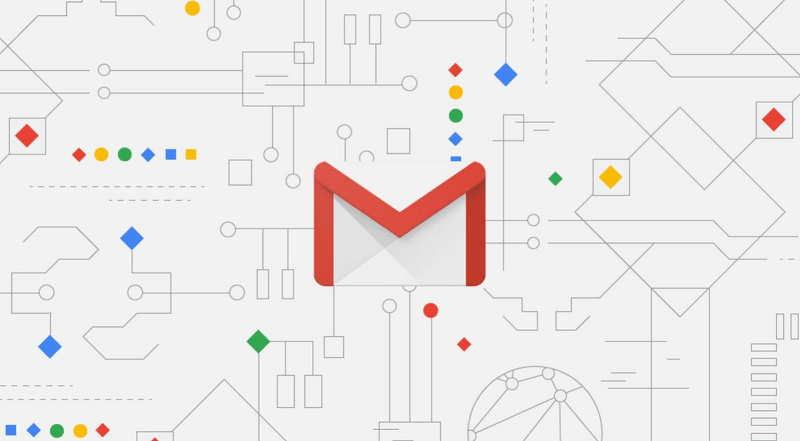 Google recently introduced its revamped Gmail app. It has refined on-screen visuals and various new features into the email service. In my previous articles, I have already written about Gmail’s Smart Compose and Offline Email feature. In today’s blog post you will read about how to mention @ contacts or users. It is a new feature of available in the latest version of Gmail. There is no doubt that most of the users are already aware of @ symbol concept to mention users. This @mention feature is already available in popular service like WhatsApp, Twitter, Telegram, Facebook and even more. 1. First of all, you need to be running the new version of Gmail. It is because the mention feature is not available in the old version of Gmail. 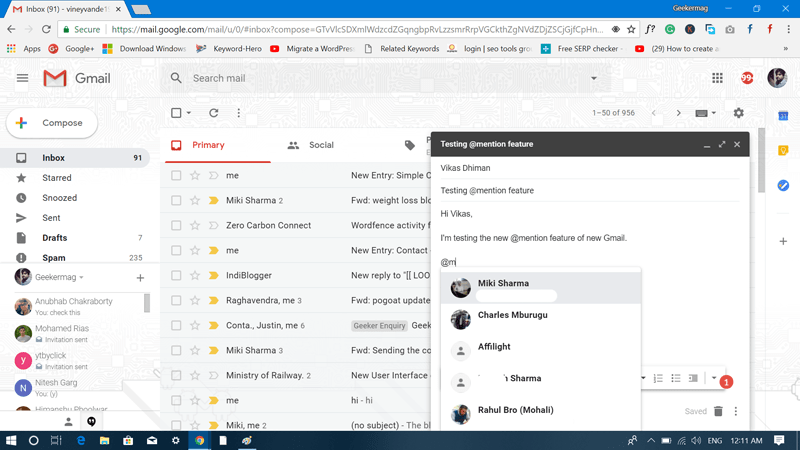 To upgrade to New Gmail, you need to click on Gear icon available on the upper right side and then click on the Try new Gmail. This will automatically load Inbox in the new version of Gmail. 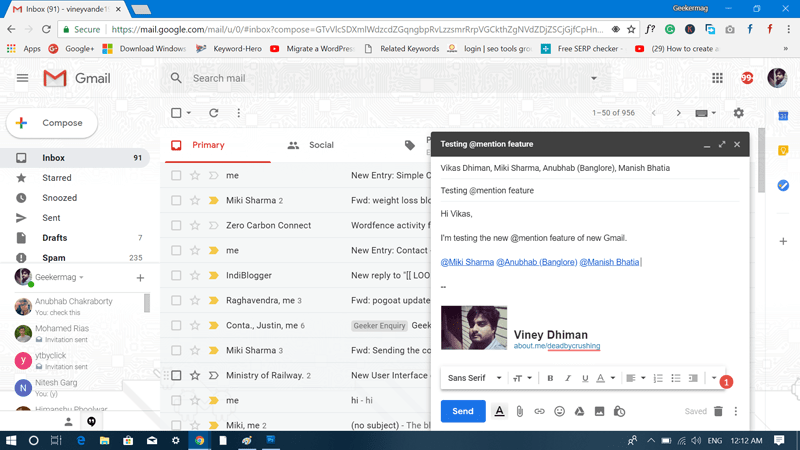 Note: From September 2018, users will be upgraded to new version of Gmail whether they like it or not. So it is better to start using it right now. 2. Here, click on the big Compose button available on the left side to compose a new email. 3. Enter the Recipient Email id and Subject. Here goes the vital step. 4. To mention other user or contact in the message, you need type @ and then type the first alphabet of person’s name. The same person’s email address will be automatically added into recipients. This way that person will also become part of that particular email thread. 5. Once done typing the message, click on the Send button to send the email. Congratulations, you just learned how to use Gmail @mention feature. With default settings, this feature is enabled in new Gmail, and there is no way to turn this feature off. I guess no one would like to turn off this feature, at least not me. Mistakenly mentioned the wrong person? No problem, you can undo @mention if the mail is not sent. For that, put the cursor at the end of the person name and press backspace key or select the name and press delete key. Want to remove the person from the thread after naming them? No problem, you can also do that by removing the personal email address from CC field. If not, the person will have full permissions to check all the future messages in the thread. What are your thoughts about a @mention feature in new Gmail? Do you like it? Find this blog post useful? Let me know in the comments.